LG India all set to launch 2012 series phone in India. Starting with entry level phone, LG Optimus L3 E400 is ready to launch in India. 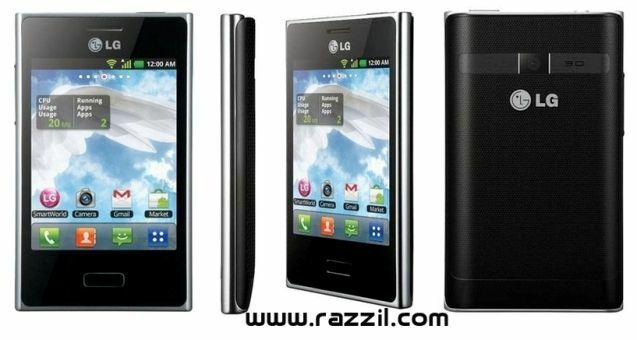 LG Optimus L3 E400 features 3.2-inch TFT LCD Capacitive Touchscreen, 800 MHz Processor, 3 MP Primary camera and 384 MB of RAM. The phone is powered by Android 2.3 Gingerbread OS. The phone will compete with Samsung Galaxy Y and HTC Explorer in Indian Market and by specs Optimus L3 E400 looks quite good but 384 RAM will surely affect the performance of the phone. The phone comes with 1 GB of Internal Storage and support up to 32 GB of expandable memory. The phone support 3GB and Wi-Fi along with Wi-Fi Hotspot and USB Tethering.